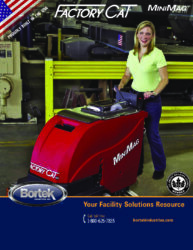 Factory Cat MiniMag Floor Scrubber - Bortek Industries, Inc.
One of the more popular machines for a reason. 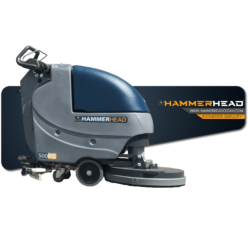 This machine is available in traction or pad assist versions in a compact frame making it ideal for numerous applications. 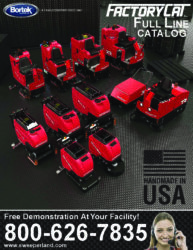 The Factory Cat MiniMag floor scrubber delivers unmatched value. 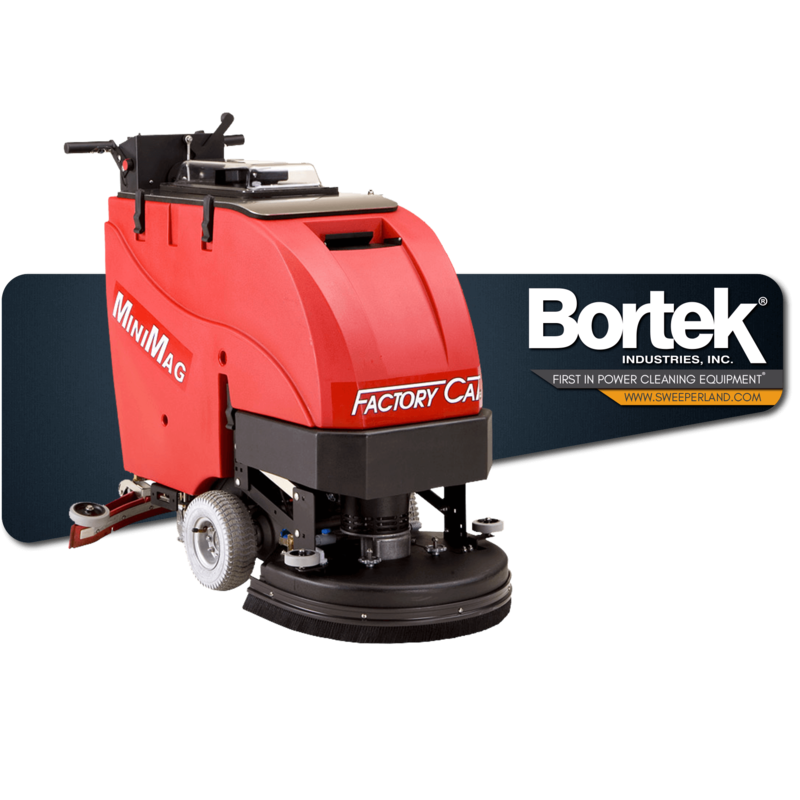 Its compact size for easy maneuverability and durable construction for long life makes this scrubber one of Factory Cat’s most popular machines. 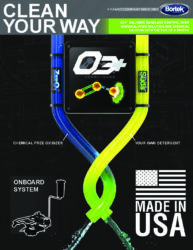 The MiniMag is available in traction or pad assist versions. For a more economical machine that is ideal on flat surfaces, choose the brush-assist drive. 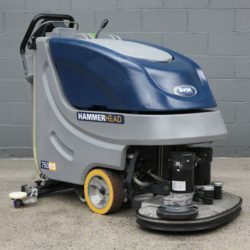 For effortless cleaning on steep ramps and non-level surfaces, the traction drive includes a powerful all-gear transaxle. 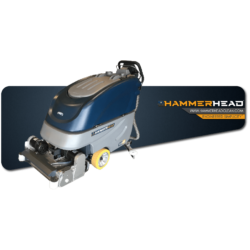 Compact in size, either model can clean in tight areas, making it perfect for warehouses, machine shops, service centers, lunchrooms, grocery stores and more. To extend the life of the machine, the Factory Cat MiniMag floor scrubber is built with an all steel construction, polyurethane rollers and 100% stainless steel fasteners. The disk scrub path for the MiniMag is available in sizes between 17″ and 28″ to ideally suit your needs. Plus, you can choose from the disk or cylindrical style. 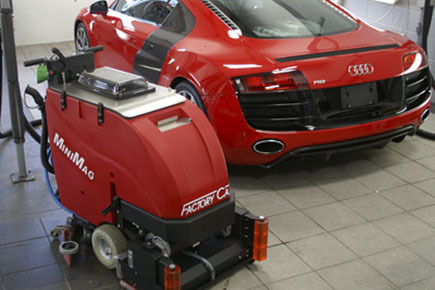 With 35% more power than other mahcines, the disk model is gimbal-mounted to improve cleaning on uneven surfaces. The cylindrical model also sweeps the floor of debris, eliminating the need for vacuuming. 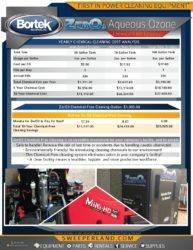 Reduce your cleaning time and increase productivity with a Factory Cat MiniMag floor scrubber.